You might think: Big deal, San Francisco is our tech capital, the last place that needs this. But for years, San Francisco has had a major problem. True, it’s the tech capital of the country and a progressive leader among US cities, but before last week it had no plan to ensure that it had world-class data connectivity for its residents at a reasonable price. Techies frequently bemoan this fact, showing one another screenshots of spinning wheels. San Francisco’s dilemma is a compact form of the crisis in communications facing the rest of the country: Although fiber is the necessary infrastructure for every policy goal we have—advanced healthcare, the emergence of new forms of industries, a chance for every child to get an education, managed use of energy, and on and on—the private sector, left to its own devices, has no particular incentive to ensure a widespread upgrade to fiber optic connections. Comcast dominates access in the city, but has no plans to replace its cable lines—great at downloads, not so great at uploads, no opportunity to scale to the capacity of fiber thanks to the laws of physics, and expensive to subscribe to—with fiber. And its planned enhancements to its cable lines have, in other cities, resulted in a product costing $150 per month. AT&T will say it’s upgrading to fiber in San Francisco, but so far its work in many other US cities has been incremental, confined to areas where it has existing business customers to serve or where it already has fiber in place. 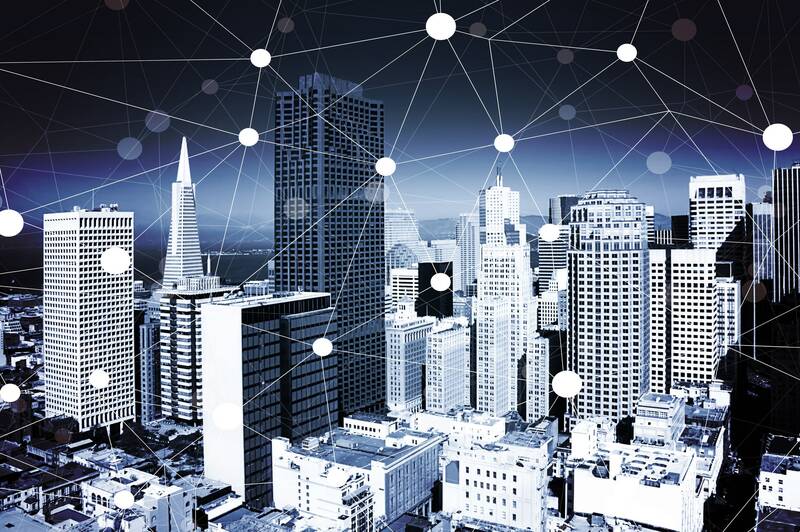 Other, smaller providers similarly have no plans to do a city-wide upgrade, leaving San Francisco with a deeply uneven patchwork of connectivity. Just as in the rest of the country, poorer and less-well-educated San Franciscans tend not to subscribe to a wire at home, but instead rely wholly on smartphone data plans—no substitutes, given their expense and throttled capacity, for what’s possible using a wired connection. It’s taken San Francisco a number of tries to get to the point of suggesting a city-controlled utility fiber network that private-sector retail operators can use as a neutral platform. Like Bill Murray’s Phil Connors in Groundhog Day, the city has been steadily learning. 10 years ago, the failure of a much-hyped city partnershipwith Google and Earthlink for a city-wide wifi network was caused by inexperience on all sides: No one was up to the job of accounting for the number of hotspots and the amount of backhaul that would be necessary for a wifi network to serve San Francisco’s data-hungry citizens in their homes and businesses. Eight years ago, a city-commissioned report recommended a fiber network, but plans didn’t proceed because of lack of leadership and the absence of a concrete plan. This CTC document isn’t just another report. It is a pioneering and carefully nuanced study that marches deliberately through a range of public-private options for network construction, and suggests that the city separate “dark” from “lit” fiber planning. The “dark” fiber would be passive, public-works-like construction of basic fiber infrastructure, and would include no retail customer-service relationship. The “lit” fiber would be retail data-flow internet access service to customers. The most interesting and simplest version of a public-private partnership suggested by CTC is found on page 93, deep in the report: The city would issue a franchise to a private company to build a dark fiber network reaching every home and business (adding to the 170-plus miles of dark fiber already owned by the city), and then would turn around and have a publicly controlled entity lease that fiber to private operators. Private operators, in turn, would install the electronics that “light” the network and would connect up customers to the internet. The city would not be in the business of competing with existing providers in this model, but would, instead, be providing basic infrastructure that any company could use—the connectivity equivalent of a city street grid. The cost to the public of borrowing the money to build this basic network—estimated at about $1.5 billion by CTC—would be significantly lowered by leasing revenue from advance arrangements with operators. The city would subsidize low-income residents wishing to subscribe for fiber services from those private operators. CTC sets forth a detailed timeline for getting all of this done. What’s great about this suggestion is that it removes any political argument that the city is somehow undermining the private market for internet access services. At the same time, a dark fiber public-private partnership would dramatically lower the cost for the private market to do what it does best: directly serve customers in a competitive environment that, on its own, produces low costs and innovation. There are undoubtedly well-funded private entities out there that will gather themselves to lease the city’s fiber; indeed, CTC strongly recommends that the city start seeking out those lessees right away. Public comment on all of this will also be essential. Fiber is, or should be, a utility available to all Americans. All of our advanced-wireless dreams, all the Internet of Things amazingness, depends on having a solid, dependable, ubiquitous fiber infrastructure reaching everyone at a reasonable cost. San Francisco, after years of study, has finally gotten to the point of readiness to take this step. Bravo to Mayor Lee and Supervisor Farrell for their commitment to the future of their beloved city. Here’s hoping that other US cities follow suit.